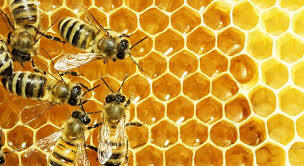 ROME - The Five Star Movement has introduced bee hives across Rome in a bid to monitor the air quality in the city. The new initiative was set out by Edgar Meyes on Wednesday, representing the Environmental Department at the headquarters of the State Forestry Corporation together with the Italian Beekeeper Federation. This is not the first time the Five Star Movement has drawn on the positive environmental impact of animals in Rome; many will remember their project enabling sheep to roam the large green areas around the periphery to keep grass under control. The new plan is this: to work with the system of small bee hives already present in the city, including Fai a Palazzo della Vale, and to add three more near the State Forestry Headquarters. There is also an imminent plan to put in place a system of breeding grounds for bees in the Italian capital, creating, near those already existing, a web of 10 stations in the historical centre. The programme will evaluate the impact of the bees in the capital whilst also paying particular attention to the increasing threat of bee theft, with an overall aim to protect the welfare of bees in Italy. Ultimately, the Carabinieri, the Italian Beekeeper Federation and the Roman Council aspire to create an educational urban biodiversity beekeeping model. Completely safe, this will ignite interest amongst students and citizens surrounding the workings of the beehives, enabling them to directly experience a monitoring centre with around 50.000 bees. The “Apincittà” project, already well under way, seeks to involve many other institutions and research companies, who in turn will offer their own technical and scientific expertise.